You may already be aware of the essential reasons for getting your home clean by power washing the exterior, but not all of them are obvious. By hiring a Cranston Power Washing service, you will be removing problems like algae, mold, and mildew. Plenty of people focus all of their attention on just the interior of the home, forgetting what may be going on outside. While everyone knows this type of service will improve the overall look of a home, do you know it could help make it healthier to live in? When focusing on improving indoor air quality remember the importance of the exterior of your home as well. If your siding, roofing or other aspects of the exterior are dirty and a breeding ground for mildew and mold, it's important to get the problems taken care of. This is especially important for anyone who suffers from asthma, allergies or other breathing related ailments. 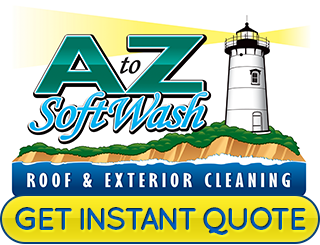 And this is where the A to Z Softwash team comes into the picture. 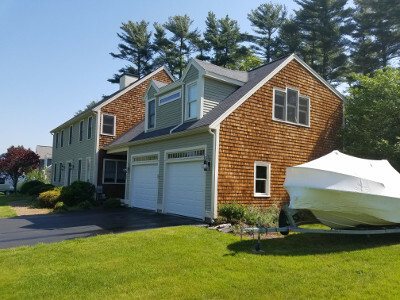 Our Cape Cod roof cleaning and power washing experts can remove the stains and grime on the exterior of your Cranston home. Call today for an affordable estimate and top-quality service. If you don’t take good care of cleaning your rooftop you are going to end up with costly repairs or even worse, a roof replacement. So let our team of Cranston Roof Cleaning experts take care of your roofing and whatever else you need cleaned. You are going to love the final look of your home's curb appeal once we get done with the service. So contact us today to find out more about our expert level power washing services. Has your once beautiful cedar siding or deck become dull and gray? This is a very common problem with cedar. By keeping it clean and sealed with a UV ray resistant sealant, the cedar features of your home will stay beautiful and last longer. Call us for cedar restoration services today if you have a home in Cranston. You'll fall in love with the way your home looks all over again. 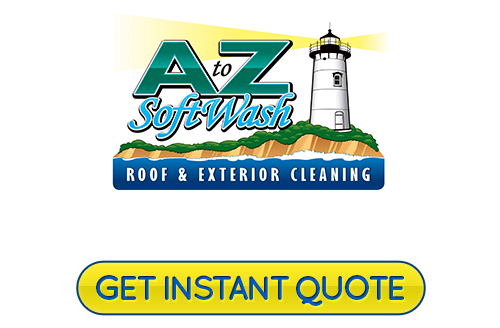 If you are looking for a Cranston, RI roof cleaning and exterior softwashing service, then please call 508-209-7795 or complete our online request form.